“Where do my hands go?” – I’m sure this notorious question has haunted piano teachers for several centuries! 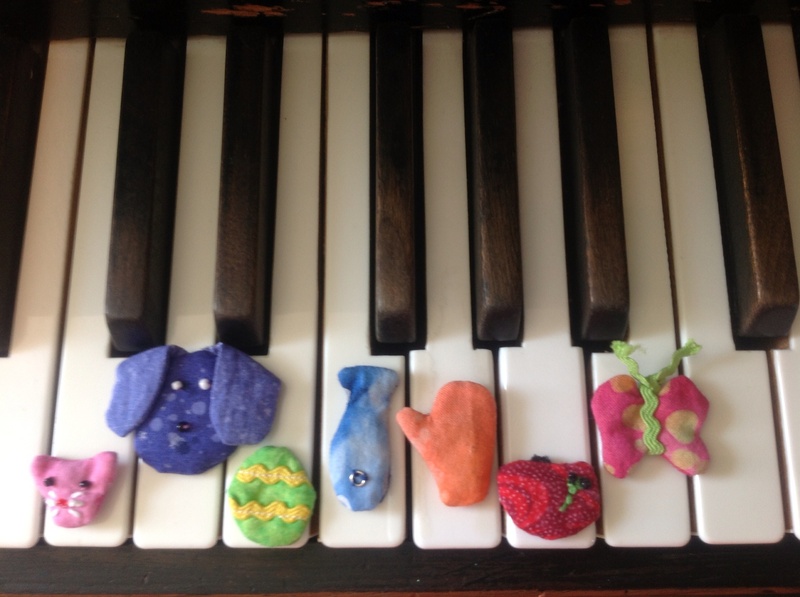 When my own child/student began asking me this question, then I decided to try some new things, such as – “Piano Critters.” I made a little “critter” for each note. Each time I introduce a new piece to a beginning level student, I ask them to place a critter on the starting notes. My students have loved these characters! The critters can also be used along side of flash cards.